I love short ribs. Lately, I've been obsessed with cooking them sous vide. The texture is totally different than what you get when you cook them any other way. But sous vide short ribs cook for a looong time. The recipe I use cooks for 72 hours. Although I love that style of short ribs, change is good. So is speed. Thus, the decision to wrangle the ribs in my Instant Pot , using the pressure cooker function. Or, more accurately, I used one of the pre-sets to make it even easier. The result was ... well, comfort food. The meat was tender, the carrots were perfect, the sauce was tasty, and it was just what I wanted. Speaking of sauce, serve this with something to take advantage of that sauce. Crusty bread for sopping it up would be nice. Or simple boiled or mashed potatoes. Just don't waste it. 1/2 can (just eyeball it) water. Or measure about 3/4 cup, if you tossed the can. Put the short ribs, tomatoes, water, onion, oregano, salt, and pepper into the Instant Pot. Put the cover on, make sure the knob is set to sealing and not venting, and press the "meat/stew" button. Make sure it's set for 50 minutes. When the time is up, turn the pot off and let the pressure reduce for 15 minutes. When the time is up, turn the knob to vent any remaining pressure. Taste the sauce for seasoning and add salt and/or pepper as desired. If the sauce needs a little brightness, add the red wine vinegar. Add the carrots and put the lid on the pot again, with the knob set for sealing. Set the cooker for manual, high pressure, and 6 minutes to cook the carrots. When the time is up, turn the cooker off and wait 10 minutes before releasing pressure. You can serve this immediately, but I prefer cooling meats like this and reheating before serving. If you refrigerate it, it's easy to peel off the fat from the stew. 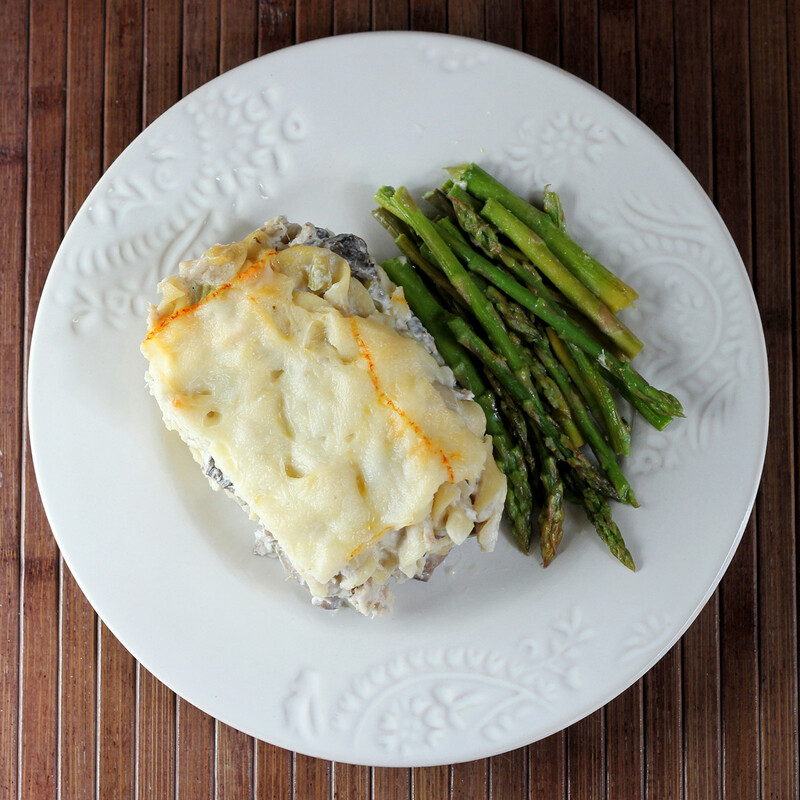 If you serve immediately, you might want to skim off some of the excess fat before serving. I received the Instant Pot through 37 Cooks for a post on our group blog. I am not obligated to keep posting about it. I'm just having fun. All the cool kids are spiralizing these days. Are you? 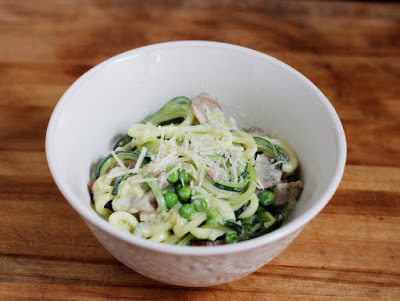 This post is sponsored by OXO and their new hand-crank spiralizer, which they sent me so I could use it for this post. Like most OXO tools, this one is thoughtfully made, with blades that store in an included box - and then the box attaches to the spiralizer, so it all stays together in storage. That's a huge plus when it comes to kitchen gadgets with multiple parts. I have a neat little collection of things that belong to other things. But this particular collection is special. I know the parts all belong with ... something. But I don't quite know what that something is. Sooner or later, I'll find the mating parts, but until then, I let them rattle around in a drawer. So anyway, the OXO spiralizer keeps its parts together. It includes three blades - one for larger spiralized cuts, one for smaller cuts, and a slicing blade. 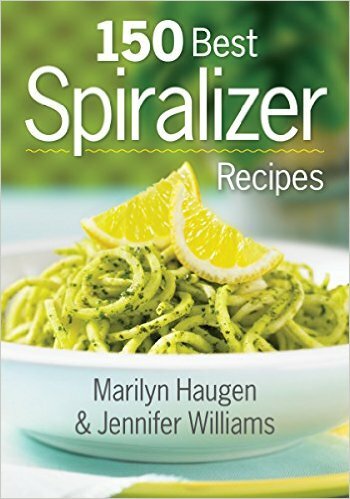 For this recipe, I used the two different spiralizer blades - the larger one for the onion and fennel - and the smaller one for the zucchini. 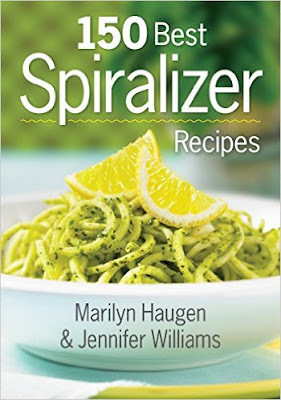 And yes, you can use the spiralizer to cut things that aren't solid all the way through, like the onion in this recipe. The fennel and onion didn't actually result in long ribbons, but they cut nice thins trips that were exactly what I wanted. So, if you haven't spiralized, the absolutely best tip I can give you is that if you're cutting something like zucchini, it's really cool to end up with a few super-long noodles. But ... those super-long noodles aren't so fun to eat. It's better to cut the noodles in lengths similar to spaghetti, or even a little shorter. The easy way to do that is to stop the spiralizing once in a while and just snip the strands with scissors. I used langostino tails for this recipe, but if you can't find them, shrimp would be just as good. you can use fresh, cooked, or raw - just make sure your remove the shells and they're deveined. Use the larger spiralizer blade to cut the onion and the bulb of the fennel into strips. Reserve some of the fine fennel fronds for garnish. Heat the olive oil in a large saute pan on medium heat and add the onion and fennel. Add the salt an pepper and stir. Cook, stirring once in a while. Meanwhile, core and seed the bell pepper and slice it into thin strips. Add it to the pan. Continue cooking the vegetables in the pan while you spiralize the zucchini. 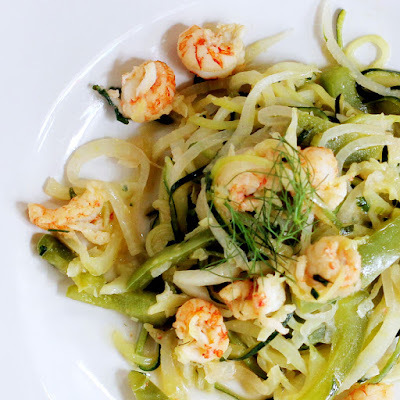 When the onions have softened and are no longer sharp-tasting, add the zucchini, lemon juice, and red pepper flakes. 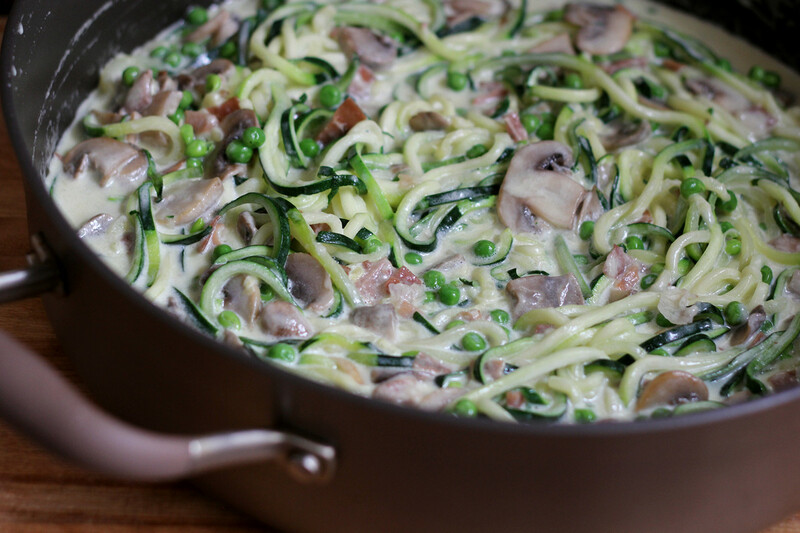 Cook, stirring as needed, until the zucchini is cooked through. Add the langostino tails (or shrimp) and cook just long enough to warm the seafood (if it's precooked) or to cook it through if it's raw. If the seafood gives off a lot of liquid, turn up the heat briefly to reduce it. Add the butter and continue cooking, stirring, until the butter has melted. Taste for seasoning and add more salt, pepper, or lemon, if desired. Add the herbs, stir once more, serve. Garnish with some of the reserved fennel fronds, if desired. This post was sponsored by OXO. Want to know what they're up to? Follow them on Facebook! Yeah, I know that "precisier" isn't a word, but I'm still trying to see what magic my new gadget, the Precise Heat Bowl , can perform. To be perfectly clear, I paid my very own money for this thing. Well, okay, I might have had an Amazon gift card burning a hole in my virtual wallet. But still, this is not a sponsored post. After messing around with ice cream, lemon curd, and yogurt, I decided to turn my attention to bread. I made corned beef in my pressure cooker (an Instant Pot, if you must know) and I wanted corned beef sandwiches on rye bread. That's how I roll. So I figured that I'd use the bowl for my bread dough. It's pretty cool in my house this time of year, so it just made sense. For the liquid in this bread, I used leftover whey from making strained yogurt, but water is perfectly fine. Plug in the Precise Heat Bowl and set it for 110 degrees. Add the whey (or water) and orange juice and wait for it to come up to temperature. Add the sugar and yeast. Stir to combine. If you're not sure your yeast is viable or if you're using a brand other than Red Star (my preferred; it has small grains so you don't need to let it soften before continuing) let the mixture sit for about 5 minutes. You should see bubbles. Turn the heat down to 100 degrees. Add the flours, salt, and olive oil. Attach the bowl to your stand mixer and attach the dough hook. Knead until the mixture begins to be smoother and less shaggy. Add the caraway and anise seeds and continue kneading until the dough is smooth and stretchy. Remove the bowl from the mixer and place the cover on the bowl. Set the timer for 45 minutes. Check the dough when the time is up. It should have at least doubled in size. It will feel warm to the touch. Sprinkle cornmeal on a baking sheet and preheat the oven to 375 degrees. Remove the dough from the bowl and gently form it into a round or oval. You don't want to knead or smash it, just gently form it. Place it on the baking sheet seam-side down. Cover with plastic wrap. Put a cup or two of water in the bowl and place the baking sheet on top of the cooker. This will help keep the bread warm and speed the rise. Check the dough after 15 minutes. You're looking for it to double in size, and if you gently poke the bread with a fingertip, the dent should stay or fill in slowly. If it hasn't risen fully, give it more time, as needed. When it has risen, remove the plastic wrap and slash the top of the dough. You can spray the dough with water before baking, if desired. Bake at 375 degrees until nicely browned, about 40 minutes. Remove the bread from the oven and let it cool completely on a rack before slicing. For me, one of the best things about St. Patrick's Day is the leftovers. I love a good corned beef sandwich on rye with some grainy mustard. Or better yet, a reuben sandwich. But when I was a kid, St. Patrick's Day also meant that mom was likely to make her stuffed cabbage rolls, otherwise known as golumbki. It had nothing to do with the holiday and everything to do with the fact that bigger cabbages were available at the stores at that time. I don't know why I didn't think of it before - but why not combine the two - why not make cabbage rolls that taste like reuben sandwiches? Once I had the idea stuck in my head, I couldn't get rid of it. I fiddled around with a few different ideas before I settled on one that thought made the most sense. Like any recipe of this type, you can certainly change amounts and proportions to suit your own taste. *The easiest way to harvest the cabbage leaves is to steam a whole cabbage. The outer leaves will begin to cook and soften, making them easier to peel off and also makes it easier to make the rolls. Peel off as many leaves as you'll need, then peel off any leaves that are cooked, stopping when you reach a point where the rest of the cabbage is uncooked. Set that aside for other uses. Melt the butter in a saucepan, then add the flour. Cook for a minute or two, then add the milk. Bring to a boil and let ti cook for another minute to thicken. Turn the heat down to a simmer and add the cheese in hand fulls, stirring to melt the cheese into the sauce after each addition. Turn the heat off. Taste and add salt and pepper, as desired. Set aside. Combine the corned beef, sauerkraut, and 4 ounces of swiss cheese in a bowl. Stir to combine. One at a time, put a scoop of the corned beef mixture onto a cabbage leaf and roll up to make a neat package. Cut up any additional par-cooked cabbage leaves into a medium dice and place them in the bottom of a slow cooker. Place the finished cabbage rolls on top. Pour the cheese sauce over the top of the cabbage rolls. Set the slow cooker to high and cook for 2 hours or until the mixture is bubbling, the inside of the rolls are hot. Serve the cabbage rolls topped with rye croutons, with Thousand Island dressing on the side. So ... I made a whole lot of yogurt recently, and then I decided that I needed some frozen yogurt. So I made some. With chocolate and coffee. Because that's how I roll. This made enough of the base mix for about 2 batches of ice cream in my ice cream maker. Or maybe 1 1/2 batches, considering I ended up with a bit less than two quarts, but you're better off making two batches than overfilling the freezer bowl and making a mess or under-churning.. Vanilla butternut extract is one of my favorite extract. I use it mostly in vanilla ice cream, but it's great it other things - like this chocolate frozen yogurt. The bourbon makes this an adult ice cream, but you can certainly leave it out, if you prefer. Combine all of the ingredients in a large bowl. whisk well to combine. Refrigerate for a few hours or overnight before churning in your ice cream maker according to manufacturer's instructions (dividing into multiple batches, if necessary). Transfer to containers and freeze until firm. I almost said "no" when I was offered a copy of The Six O'Clock Scramble by Aviva Goldfarb. 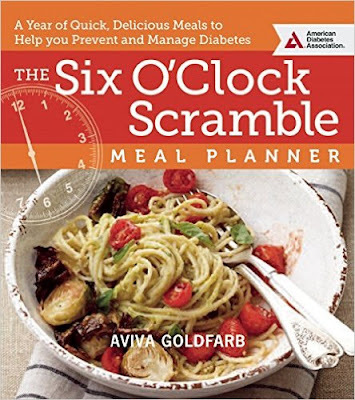 The book is from The American Diabetes Association, which is a fine organization. But I don't review a lot of books based on special diets. 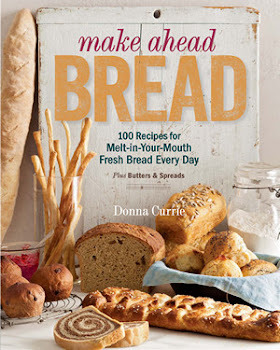 But I knew someone who was a recipe tester for this book (small world!) and she absolutely raved about it. I asked if it had any weird ingredients like fake sugars or .... just odd stuff. And she said no, it's normal food that's okay for diabetics. She was right. The recipes were normal. The book is arranged by season, but I have to say that the ingredients for the majority of the recipes are probably available all year long. And if not, there are options. 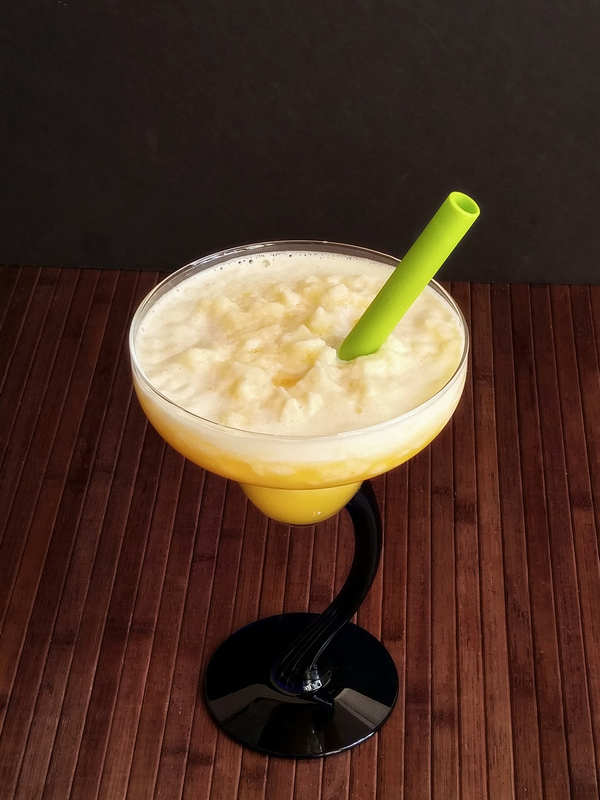 For example, in a recipe that calls for corn kernels, its says that fresh, canned, or frozen would be fine. Still, there are some recipes that make sense for serving at specific times of the year. Hearty soups and stews are great for winter, for example. The Cuban-spiced chicken that I made was in the summer section, but it would work at any time of the year. There are instructions for baking (which I did) and an option for slow-cooking, which is nice in warm weather. The spices should also be great on chicken that you put on the grill. Or other a pork roast. Or steak. Preheat the oven to 400 degrees unless you're going to marinate the chicken first. Line a baking sheet with a silicone mat, parchment, or spray with cooking spray. In a small bowl, combine the paprika, cumin, garlic powder, black pepper, thyme, oregano, and salt. Toss the chicken with the lime juice, then coat with the spices. you can continue cooking from here, or let the chicken marinate in the refrigerator for up to 24 hours. Transfer the chicken to the baking sheet and bake, uncovered, for 30-40 minutes, or until the chicken is cooked through in the center of the largest piece. When the chicken is almost done, warm the beans. Serve immediately. 1) I spent a decent amount of money on this thing, and it wants to justify its existence in my kitchen. 2) I'm having fun testing it to see what works well. 3) I don't see a lot of recipe for it online. So I think it would be helpful for people to have some recipes to use. 4) Although the recipes here are written featuring the bowl, they could certainly be adapted for people who have fancy things like slow cookers or stoves. The advantage of this bowl over other sorts of cookers is that you can set an exact temperature. It makes sense for some things, and is just convenient for others. But still, the recipes can be made using other methods. This time, I tackled yogurt. 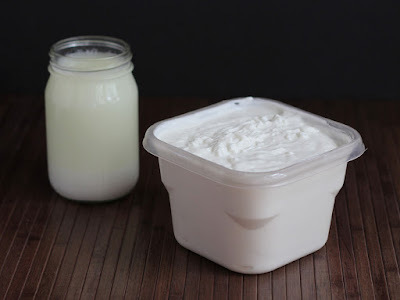 I've made a lot of yogurt using a lot of different methods, mostly using low-tech methods like putting the yogurt mixture in a quart jar in the oven with the light on. Or putting it in a very-well-insulated container. Neither of those allow precise temperatures. So I figured I'd give it a shot in the magical precise bowl. And, hey, it worked really well. Possibly the best result I've had so far. Put the milk in the Precise Heat Bowl with the cover on. Heat to 180**** degrees. Turn the heat down to 110 degrees and wait for the temperature to go down. The bowl will beep a few times at first, but then it will stay silent. It won't tell you when it's down to 110 degrees, so you'll need to check it once in a while. You can remove the lid for faster cooling, and if you're puttering around in the kitchen, you can stir it a few time. The milk will probably form a skin on as it cools. You can skim that off or whisk it in. Your choice. 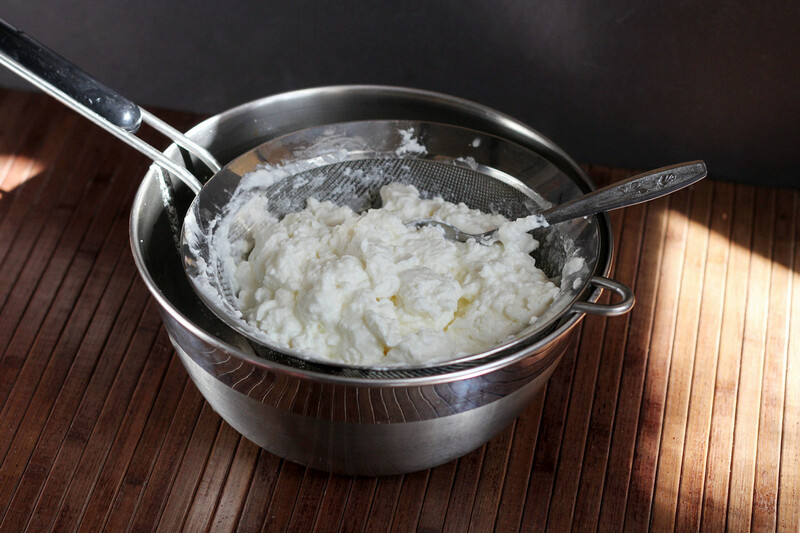 When the milk is at 115 degrees or below, whisk in the yogurt. Set the timer for you preferred time. Four hours is about the minimum and will result in a very mild yogurt. I prefer 6-8 hours, which results in a yogurt that's a little more tart. 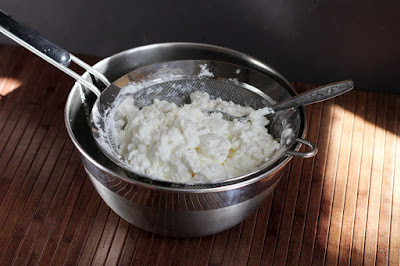 You can use the yogurt as-is, or strain it to make a Greek-style yogurt. I prefer it strained. A lot of people strain through cheesecloth or jelly bags, but I find that a fine-mesh strainer works just fine. I refrigerate the yogurt first, since that also helps it thicken a bit. Then I gently scoop the yogurt into the strainer and it doesn't fall through the holes. Obviously, if you push at the yogurt, it will go through the holes. So don't do that. Just lay it in there gently. As it thickens at the bottom, you can gently move the yogurt from the bottom to allow it to strain some more. Once the yogurt is strained and is as thick as I want it, I put it in a bowl an whisk the heck out of it to make it smooth and silky because that's what I like. You could also use a stick blender, rather than hand-whisking. It will seem a little thinner after whisking, but will thicken again as it sits. Depending on how thick you like your yogurt, you'll end up with about a quart of yogurt and a pint of whey (the liquid that drains). I use the whey instead of water when making bread, but you can discard it. Or use it in soup. Or ... there are a lot of other uses. *This doesn't need to be super-precise. 6 cups of milk is close enough. I used Fairlife milk which comes in a 1.5 liter container, so it was a convenient amount for you. If you want more yogurt, you can use a half-gallon of milk. **You don't actually need to use the whole container. It will work just fine with less. But I didn't need yogurt for any immediate use, and I knew I was going to have a lot of yogurt later. So I tossed in the whole thing. But if you're scooping out of a larger container, 1/4 cup will be fine. ***Use any plain yogurt you like as long as it has active cultures. I'd suggest reading the label and choosing on that's just milk and cultures. Thickeners and sweeteners and whatnot aren't needed. ****I've tried this heating to 160 degrees, which is what many commercial yogurt starters suggest, and the results were pretty much identical. Any temperature between the two should be fine.